A Collaborative divorce is a dispute resolution process allowing spouses and their attorneys to work together to negotiate equitable settlements without going to court and having a judge in Lake County, Illinois decide how your property should be divided. A Collaborative divorce attorney will work with you, your spouse and his/her attorney to settle issues regarding your children, assets, pets, support and maintenance. The Collaborative process is based on constructive problem solving rather than adversarial battles in court. 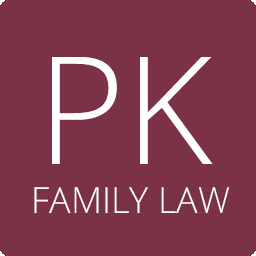 A court battle frequently ends with neither party getting a resolution that they wanted or that would be in the best interest of the family. In the book, The Collaborative Way to Divorce, authors Stuart Webb and Ronald Ousky found that collaborative divorce is usually less expensive than litigation. Rather than multiple expensive court appearances, Collaborative divorce generally only require one court appearance at the end of the case. The Collaborative process uses a timetable created by you and your spouse. Meetings can be scheduled at the parties’ convenience in Lake Forest, Highland Park, Deerfield or any convenient location in Illinois. Litigation timetables are set by the Judge and there are frequent delays given the crowded court calendars in Lake County, Illinois. Another plus of the collaborative process is privacy. The process and negotiations are kept private. Meetings in my Highland Park Illinois conference room are less stressful and completely private. Litigation is a matter of public record and everyone in the Lake County, Illinois divorce courtroom will hear details about your income, assets, and family disputes if you choose to litigate your divorce. I would be happy to discuss the Collaborative Divorce process with you in my Highland Park office.